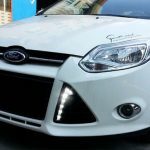 This post show a step-by-step guide on how to install headlights for Ford Focus ST170. 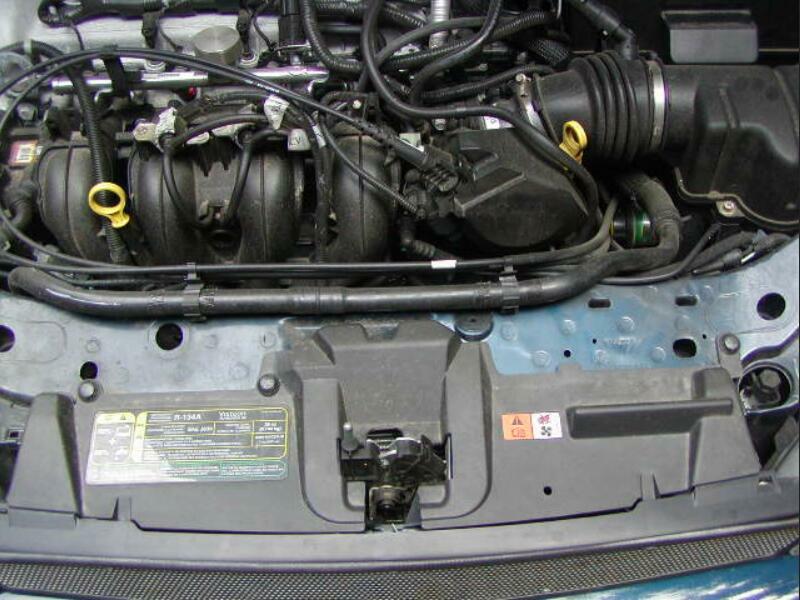 Assemble your headlights with the bulbs provided. No pics of this, but look at the back of the light and you’ll probably understand what needs to be done. I’d never so much as replaced a bulb in my headlight before and I figured it out, so you’ll do fine! 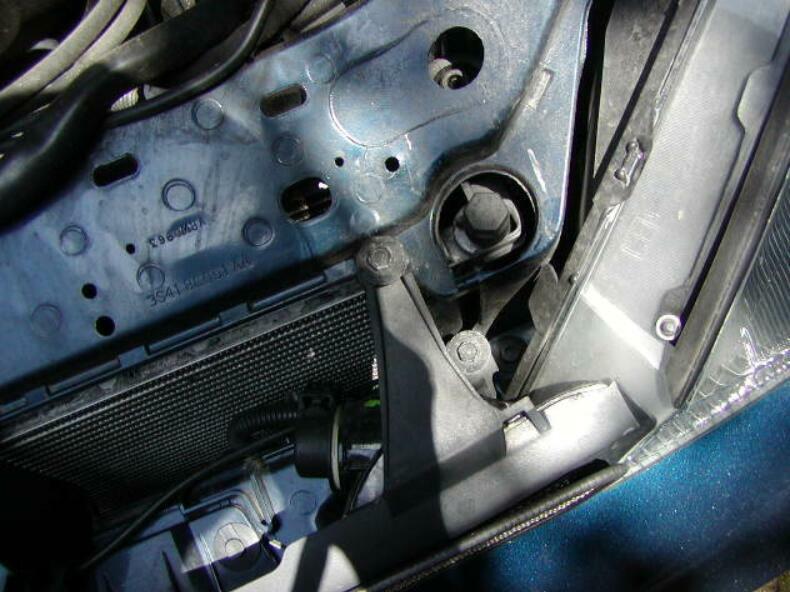 This is where the rubber bolt was… it won’t be used with the new lights, it’s in the dark region, sorry! =P It’s not that large black knob thing up top, I’m not sure what that is. 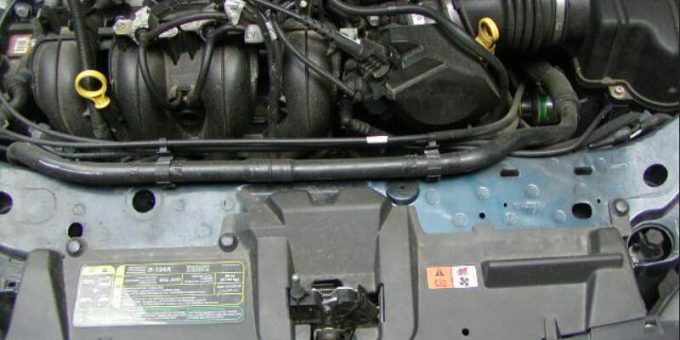 The fourth bolt is located below your headlight, and here’s where you might need a little “boost”. 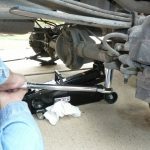 My car’s not lowered but for convenience I hopped it up on a hydraulic jack (no stands, etc)… I’ve heard this is bad safety technique so Do So At Your Own Risk. 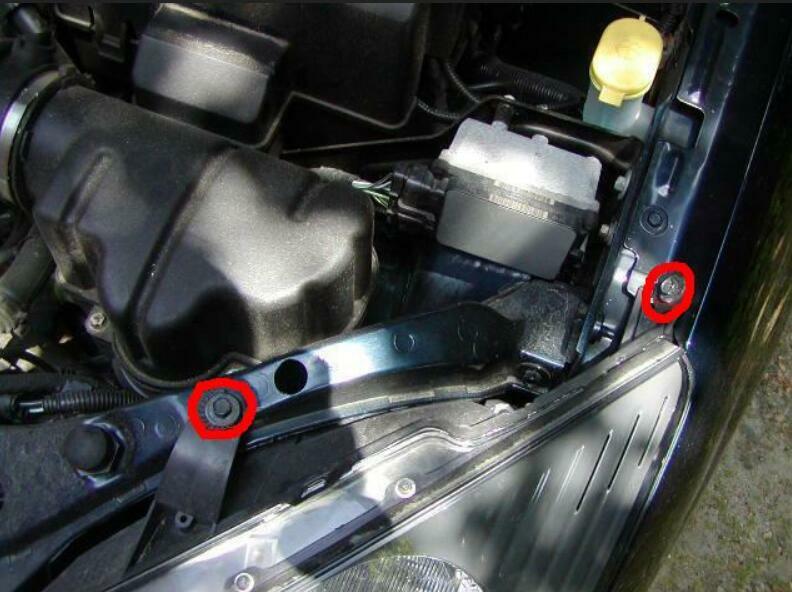 The bolt is also 10mm and located a bit north of the sidemarker, under a little metal “roof”. It heads from the fender side into the bottom of the headlight. 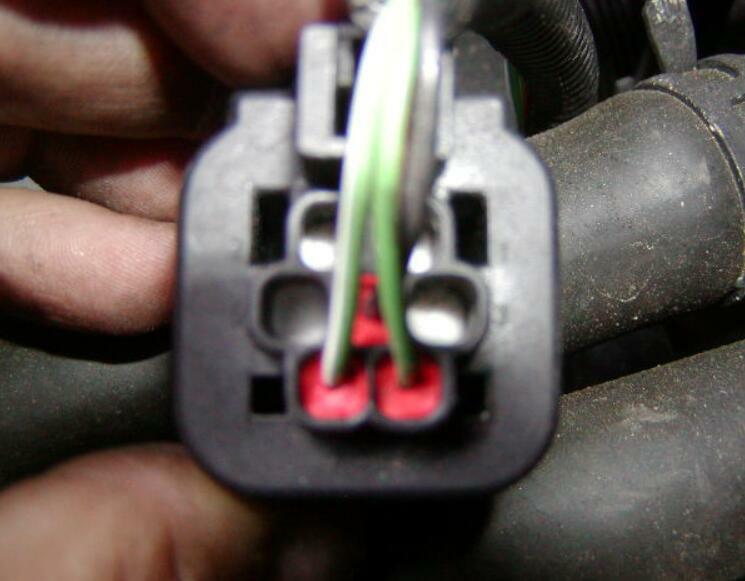 Cut the wires from each headlight harness with scissors/wire snips, but only once you know which are what color. Mine: 4= black (ground), 6= green/orange (high beams) and 7= green/white (low beams). 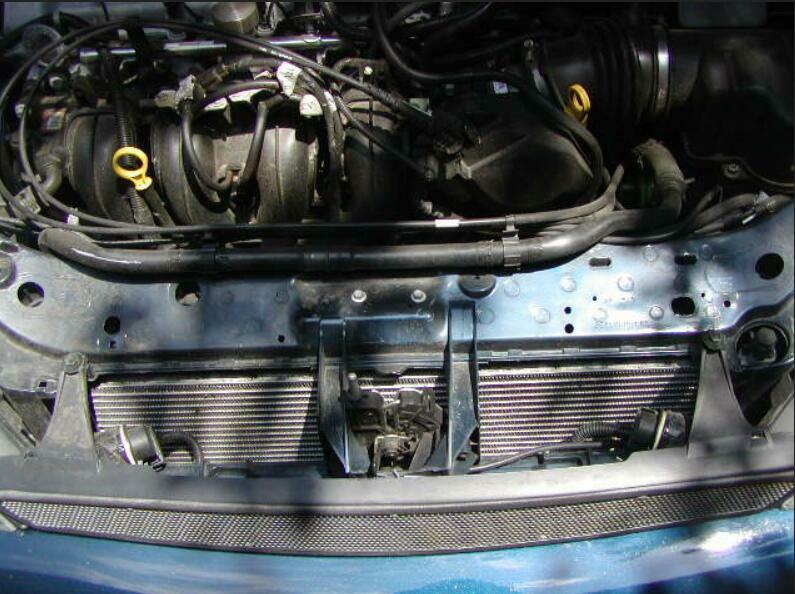 Do the same with your turn signal harnesses, but note that if you snip the wires close to the harness you may not be able to use your stock grille with signals again. Each of my sides were different but here’s what I had, left to right have the same functions. Driver: Black (ground), Orange w/ blue stripe (parking/city lights), Blue w/ orange stripe (blinker). Passenger: Black, Green/orange, Blue. 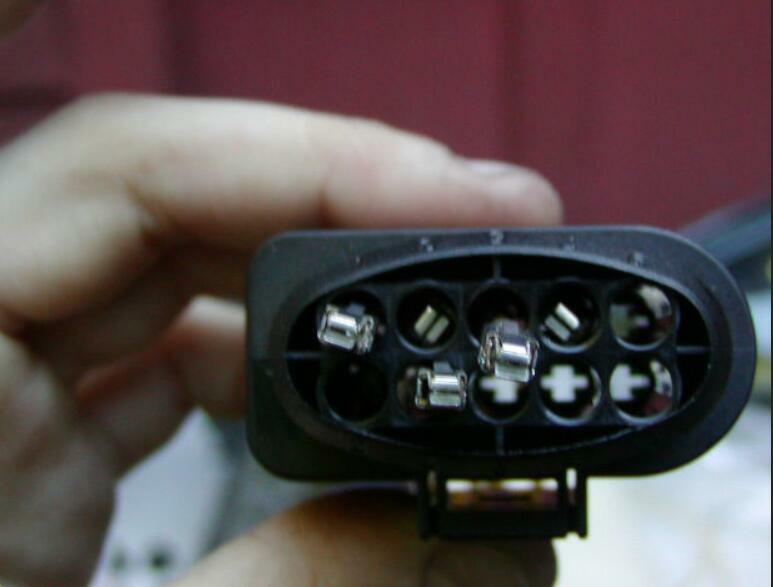 You have 2 options for turn signals, either way you won’t use the black wires. If you want to have no orange when parking lights are on, only work as the blinker then also leave out the middle wire on each side. If you want the orange in the headlight whenever lights are on, and flash when blinker goes on, splice the middle and 3rd (non-black) wire. 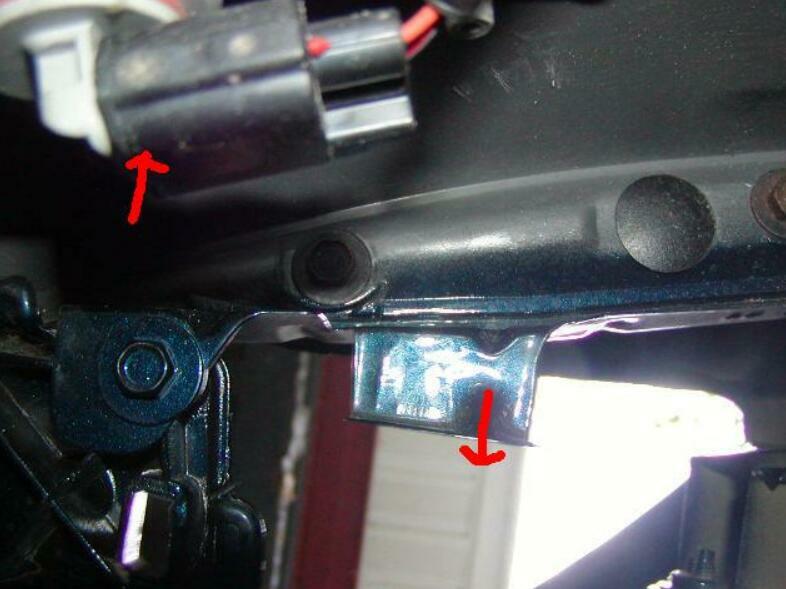 See how you can just see the metal clip part shining there? Good. Now push the adaptor onto its place on the headlight, but NOT all the way yet, just enough so you think they made contact. Go turn your key to Accessory and CHECK all your lights’ functions! Now take something (a small flathead works) and push on the purple thing in the VW adaptor from the side opening. It will slide over and lock your yellow wires in place. Be sure you have them in the right slots before doing so (if the check worked, you’re cool) because unlocking it again is annoying and requires prodding with a small screwdriver and some swearing. 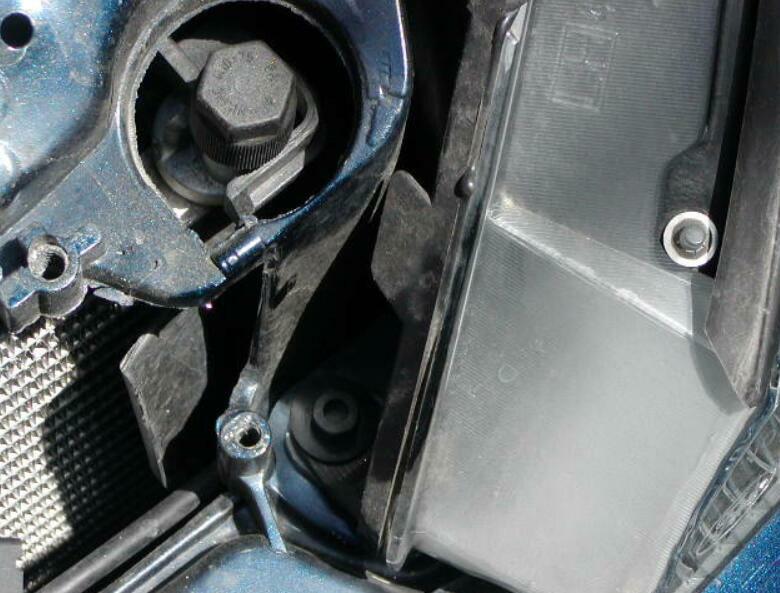 Then plug the adaptors into the place in back of your headlights until you hear the snap of the plastic clip catching on. Note: I didn’t shorten any of the yellow wires, but I did add about 3″ or so to VW wire 3 since I couldn’t put my new headlights into position without an extension since the turn sig wires are quite short. My wiring harness came with 10 yellow wires (only used eight) so I stripped one into two pieces, both ends of each with exposed wire, and used my last 2 red connectors (Pack of 10). Personal Note: Although he’ll never read this, I need to leave a HUGE thank you to my Dad who came over on his Day Off to help me when I realized the wiring was wrong and I didn’t know why or have the tools to figure out which was right. Without him I’d probably still be experimenting with each terminal on the back.